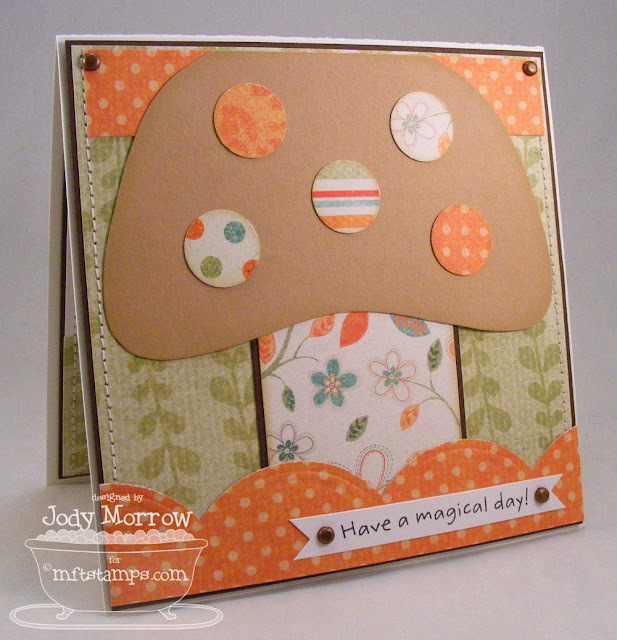 I used a FREE mushroom template from MFT to create the mushroom on the front of this card. I kept it pretty "scrappy" except for a stamped sentiment on the front. 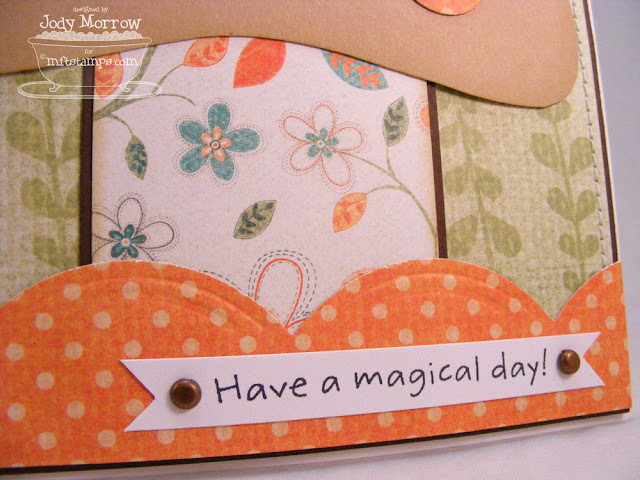 I decorated the inside with a stamped image from the Pure Innocence line: Fairy Girl. I colored her with the same color palette as the patterned paper. I added some shimmer to her wings, wand, and shoes using a Sakura glitter pen in clear. The shirt was paper pieced. I created this for the Wednesday Stamp Club, which is hosted in the MFT Forum on SCS! You can read about it HERE. Love the scrappy look, Jody! Thanks for the info on the Wed. Stamp club...I had no idea! what a great alternative for this template, love that you put the mushroom on a standard card. Great papers!!!! Get out! Ohhhhh Jody I LOVE this. SOOOOOOOOOOOOOOO CUTE!!!!! !